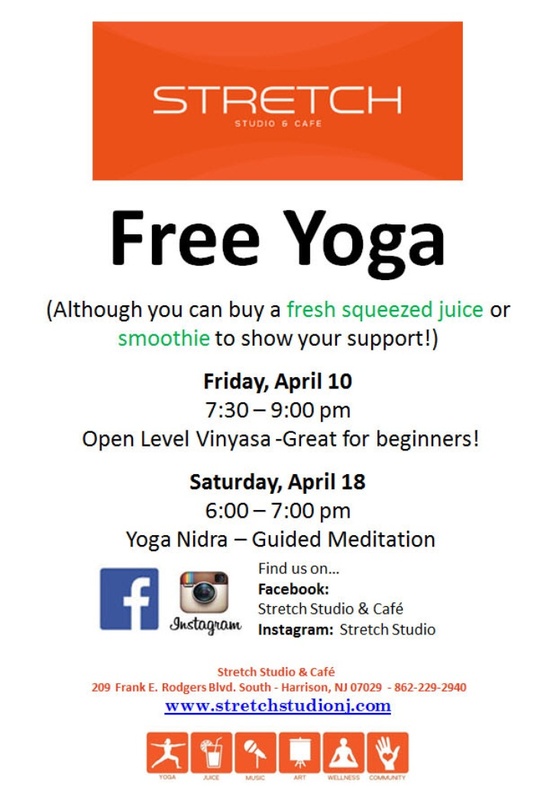 Restorative Yoga is a class appropriate for all levels, for those that want to take it slow or who have physical limitations. It is designed to restore the nervous system and help release deeply held tensions from the body and mind. Props and blankets are used to support the passive, lengthier postures to gently stretch and strengthen the body while creating the foundation to “let go”. 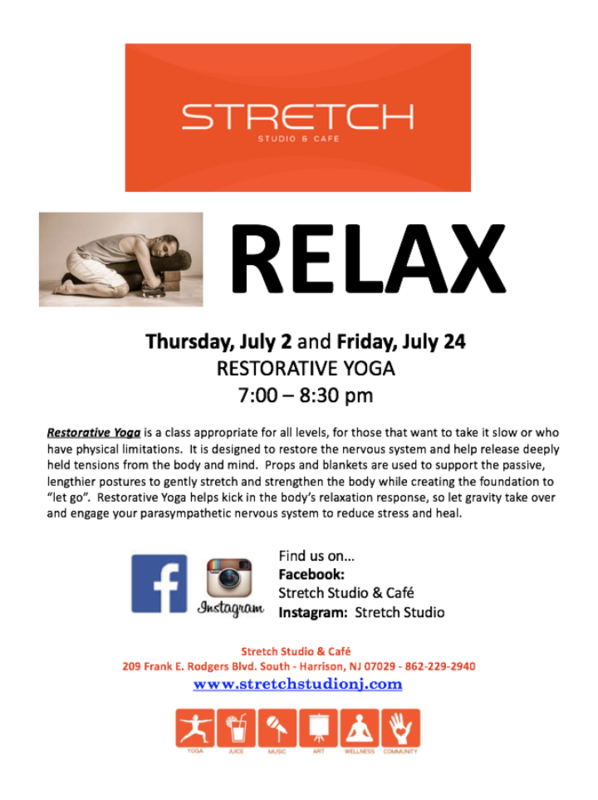 Restorative Yoga helps kick in the body’s relaxation response, so let gravity take over and engage your parasympathetic nervous system to reduce stress and heal. 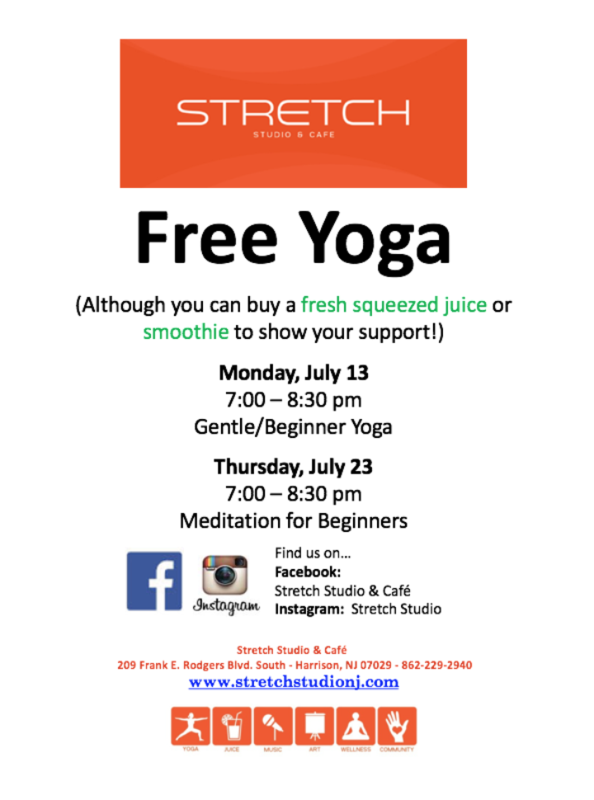 Pilates Now at Stretch Studio! 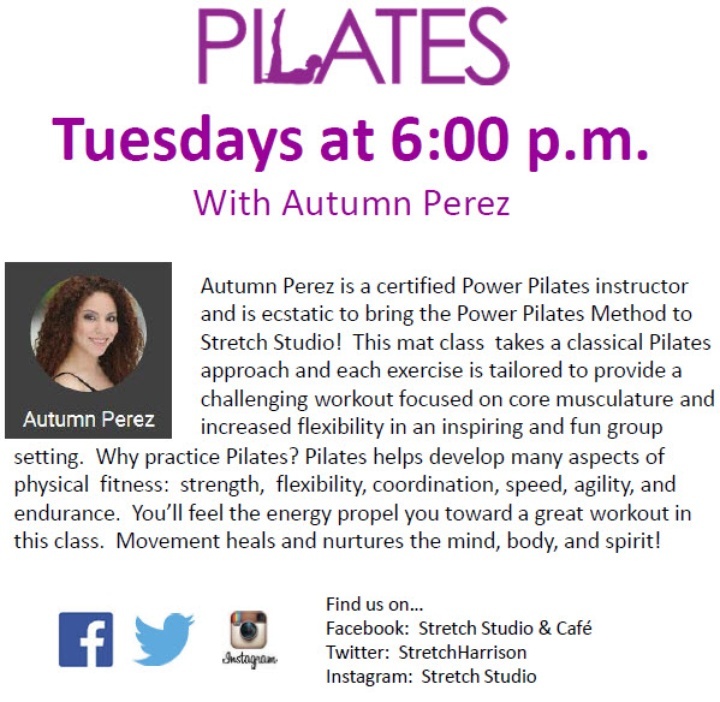 Autumn Perez is a certified Power Pilates instructor and is ecstatic to bring the Power Pilates Method to Stretch Studio! 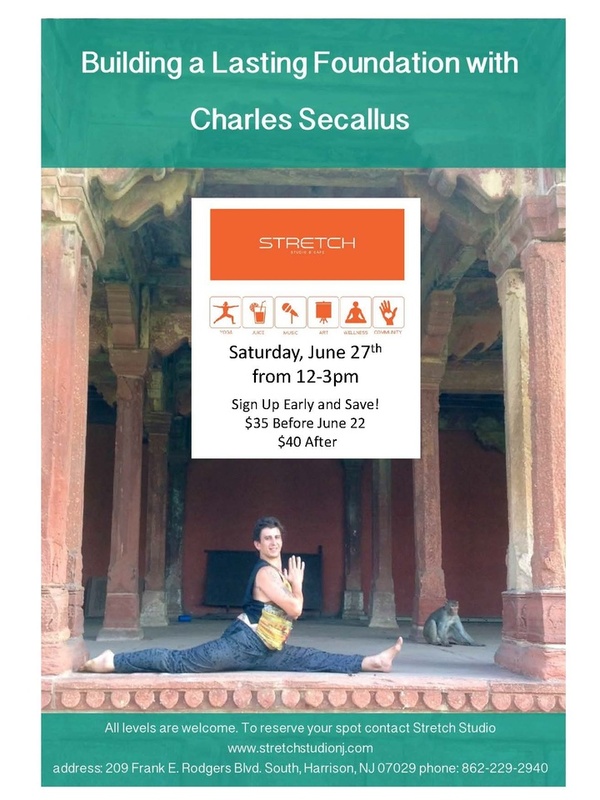 This mat class takes a classical Pilates approach and each exercise is tailored to provide a challenging workout focused on core musculature and increased flexibility in an inspiring and fun group setting.